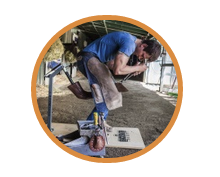 Improve your skills by training with tools from Blacksmith Buddy. Safely simulate the weight and tension with proper under the horse positioning with the Blacksmith Buddy Original. 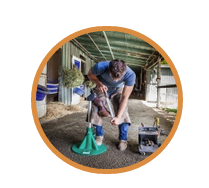 Adapt your Hoofjack to learn trimming and shoeing techniques with lifelike materials using our Blacksmith Buddy Junior. 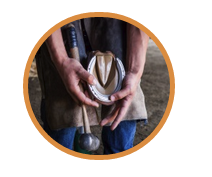 Practice again and again without having to wait for your horse to be ready by ordering extra Replacement Hooves.